Bruce's Trail of Genius: An Amazing 5 Bedroom home in Laurelton (Brick) NJ! 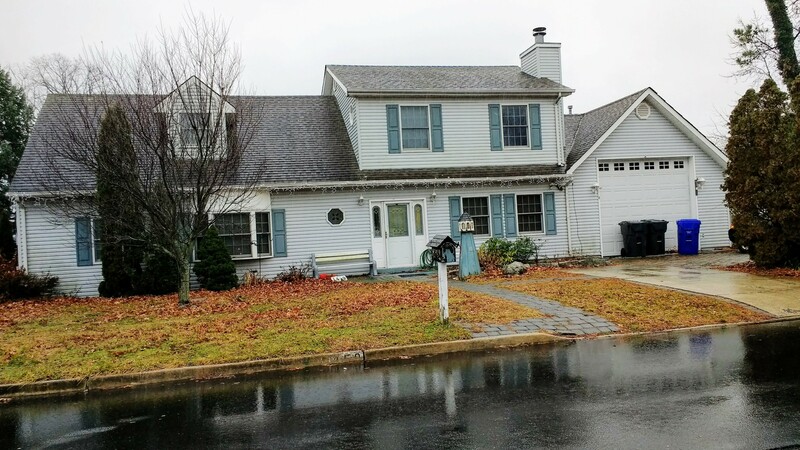 An Amazing 5 Bedroom home in Laurelton (Brick) NJ! Call Bruce Kunz at 732-242-4351 today to see if this property is still available and arrange a showing! This is an Amazing 5 Bedroom home! Eat-in Kitchen has granite countertops. Formal dining room, family room and separate living room provide lots of space to relax and/ or entertain. Owner is contractor so there are many upgrades throughout. 75 gal water heater. Jetted tub in 2nd floor bath. Anderson French door in Kitchen & Anderson windows. 40 year Timberline Roof is about 16 y/o. Huge garage w/ oversize door. Close to GSP access (i90 & i91), Shopping, Entertainment, Hospital & medical practices. Forge Pond Golf Course is nearby & Ocean beaches are only about 20 minutes away. Make your appointment to see this home today! Front Elevation view of 1459 Davidson Ave, Brick, NJ )8724. Notice the oversize garage door! Amazing Family room with wood trim, a wood ceiling, recessed lighting, and more. This room is connected to the Dining Room, which includes a gas fireplace! Professional (and more) pictures coming soon. Room measurements are approximate. Total SqFt is from Tax record. Bruce Kunz, Sales Associate, SRES & ePro. Century 21 Solid Gold Realty, Brick, NJ . congratulations on your new listing! All the best with the sale! Bruce, cute new listing, and hope you see an offer this weekend! Best of luck! Bruce Kunz Great new listing; Congratulations to you! There is so much potential here for buyers to 'sink their teeth into'. Good Selling! Bruce, sounds like a great house for a buyer to call home. Good luck on a speedy sale. Nice listing and great presentation! I hope you get a quick sale! Bruce congratulations on your new listing and hope it goes under contract soon. I am always amazed at home prices around the country. I am sure it well quickly to a lucky buyer. Good Morning Bruce - I hope you are having a great sales season now. 5 bedrooms at this price sounds like a bargain! 3 bedrooms are plenty, 5 that are affordable are a challenge for buyers needing that much room. I wish you the best in a good and quick sale! It's a lovely home! I was looking for your current blogs. I hope all is going well for you. Looks like a beauty, Bruce. I hope it has been sold to a great family. We will be waiting for a SOLD blog soon! Great looking home love the wood ceiling! Bruce, cute listing, and sure looks like it was wet the day of photos. Hope this one closed last year! Bruce, good luck with your new listing and hope we see a sold sign soon. Post © 2019 Bruce Kunz, REALTOR®, Brick & Howell NJ Homes for Sale (C21 Solid Gold Realty, Brick, NJ, 732-920-2100). Design © 2019 ActiveRain, Inc. All rights reserved, Inc.